Invoice history based on 277 reviews. 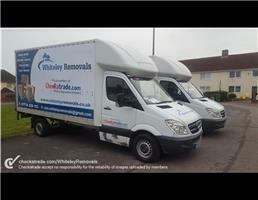 At Whiteley removals we offer a range of services to full House removals / a full packing service/ dismantling and Re-assembly service/ Office moves/ Moving to storage/A man and van service hired by the hour and finally a full Cleaning service provided by our sister company WHITELEY CLEANING. Our clients range from Mr and Mrs Smith to premiership footballers and TV and radio celebrities whose moves are carried out in the strictest of confidence. We fully understand our clients situations and understand that sometimes difficult times mean taking instructions and working with two individual parties. WHITELEY CLEANING: ALSO OFFERING ALONGSIDE OUR REMOVALS IS FULL END OF TENANCY CLEANING SERVICE ON REQUEST. **07873 905894** OR IF YOU PREFER CLEANING CAN BE ARRANGED WITH YOUR REMOVALS.